Major stock indexes are falling Friday as the Standard & Poor 500 index remains just shy of its all-time closing high. In early trading, the Dow Jones industrial average was down 0.2%. On Thursday, the 30-stock benchmark notched its eighth record close in the past 10 trading sessions. All 10 sessions the Dow closed higher, the longest winning streak since November 1996. The S&P 500 index was down 0.3% Friday but still just 6 points from its all-time closing high of 1,565.15 set on Oct. 9, 2007. The Nasdaq composite index was down 0.2% in morning trading Friday. On Thursday, the Dow rose 0.6% to close at 14,539.14, notching its eighth record close in the past 10 trading sessions. The S&P 500 index gained 0.6% to 1,563.23, within two points of its all-time high. The Nasdaq composite rose 0.4% to 3,258.93. 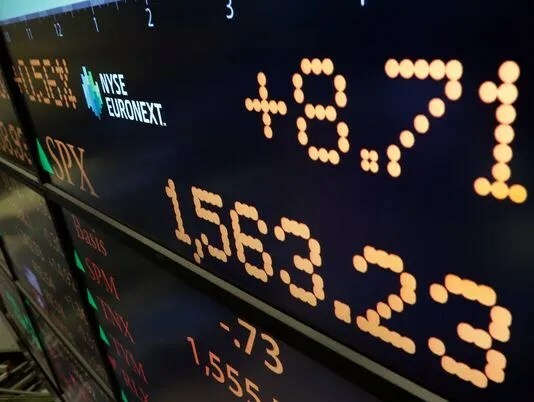 Investor optimism about the economy pushed Asian stock markets higher Friday after Wall Street logged more gains and the U.S. job market showed further signs of strengthening. In Europe, the Stoxx 600 Europe index rose slightly to sit around the 298.90 level. Japan’s Nikkei 225 index rose 1.45% to 12,560.95 after both houses of parliament endorsed Haruhiko Kurodo, the current president of the Asia Development Bank, to head the Bank of Japan. Benchmark oil for April delivery gained 53 cents, or 0.6%, to $93.56 per barrel in electronic trading on the New York Mercantile Exchange.